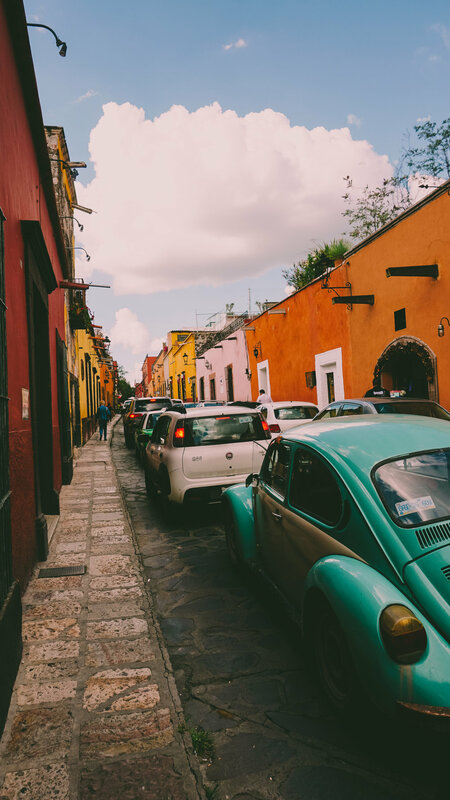 I met up with my friend Ella Mae for dinner, and afterward we walked downtown to soak in up our daily dose of the vibrant San Miguel de Allende sights and sounds. We were not surprised to find that there was a Mexican folkloric dance festival taking place in the plaza in front of the Parroquia. I snapped photos as we wove our way through the spectators and chatted. At some point I lost Ella Mae in the crowd but it was getting late, and I knew she had plans so after circling the plaza and not finding her, I began to walk home. If I lived elsewhere I would have made more of a point to say goodbye, but in San Miguel, you bump into people you know so frequently that I knew there were no hard feelings. As the sky came alive with the colors of sunset, I walked down Calle Canal and up the little stairs to the bridge on Quebrada to photograph the view. All of the cars that passed by drove slowly, for they had the same intention as me. Taking in the watercolor sky. 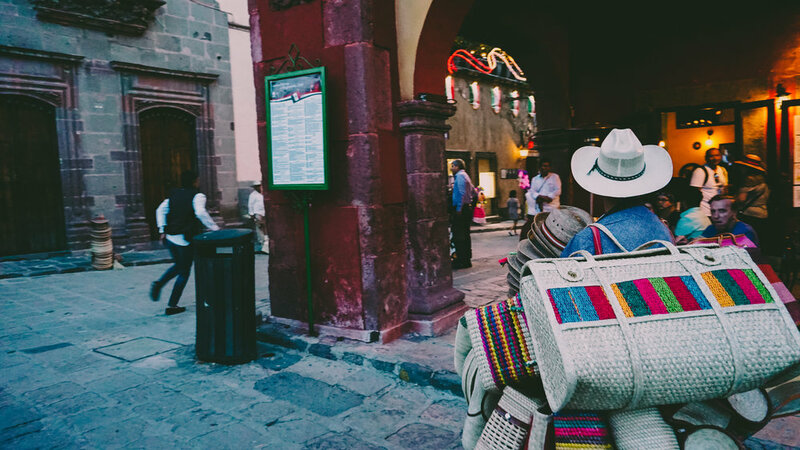 The newness of San Miguel de Allende had worn off for me years ago, but the magic had not.